The awards evening began with Sarah Brightmore’s Dream Catch Bridal collection, which featured vintage-inspired gowns. 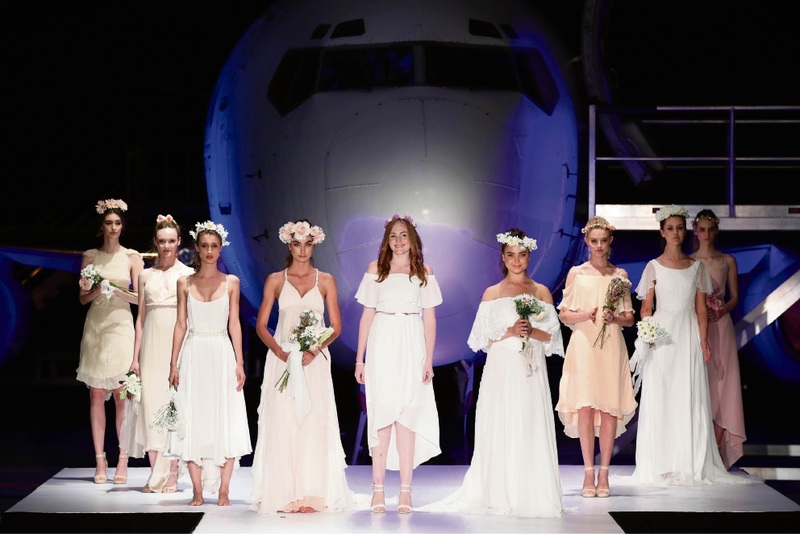 The Ascend 2016 Graduate Fashion Show was held at South Metropolitan Tafe’s Aerospace Training Centre in Jandakot on November 23. More than 600 guests packed the facility to glimpse the results of an intense three years of study by fashion students. The event was made all the more memorable with models walking the runway in front of the imposing plane. Parkerville resident Tracee de la Nougerede was named student of the year. She said the show was an important end to a challenging but rewarding course. “We got to work as one with the lecturers to put the show together and it’s a really nice way to network with people in the industry,” she said. Five awards were presented on the night, with winners selected by a panel of local industry judges.